American Airlines offers discounted MileSAAver awards within the United States and Canada to select cardholders. Both the Citi® / AAdvantage® Platinum Select® MasterCard® and the CitiBusiness® / AAdvantage® Platinum Select® World MasterCard® are on the list of cards that offer a 7,500 mile discount roundtrip. Every two months, American Airlines publishes a list of new destinations in the United States and Canada eligible for discounted awards. The current list covers awards that must be booked by March 31, 2016 for travel by May 31, 2016. Award travel must originate somewhere in the continental United States or Canada and must go to a city on the very long destination list. Awards can be booked one way for 8,750 miles in economy or 21,250 miles in First Class. Roundtrip awards are double those prices. You have to call American Airlines at 800-882-8880 to book the discounted awards. Luckily American Airlines just eliminated the phone booking fee for awards that can’t be booked online! Here is the full list of discounted destinations for February through May. Not all destinations are discounted each month. For instance, New Orleans is only discounted in February, March, and May while Pittsburgh is discounted in February and April. How Good Are These Awards? 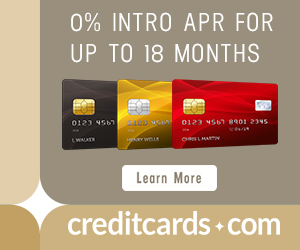 Let’s say you have the Citi® / AAdvantage® Platinum Select® MasterCard®. You decide to go from Los Angeles to New Orleans with your miles. You find ample award space with a search on aa.com. You pick out your American Airlines-operated flights with MileSAAver space. At this point, you do NOT complete the purchase. Purchasing online will cost 25,000 miles. You have to call in to get your discount: 800-882-8880. You book the roundtrip for 17,500 miles and $11.20. 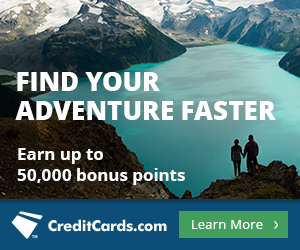 You use about 1/3 of the 50,000 mile bonus you got from the Citi® / AAdvantage® Platinum Select® MasterCard®. Because you have the Citi® / AAdvantage® Platinum Select® MasterCard®, you get an automatic 10% rebate on the award that is deposited into your account in a few weeks. That makes the net cost only 15,750 miles for a roundtrip (or 7,875 miles one way) that would cost hundreds of dollars. Because you have the Citi® / AAdvantage® Platinum Select® MasterCard®, you get a free checked bag in both directions, saving you $50 roundtrip. United and Delta charge at least 25,000 miles roundtrip for domestic awards. Discounted domestic and Canada MileSAAver awards open to American Airlines credit card holders are a fantastic deal. If you need to book a domestic award, make sure to check what destinations are discounted. If your destination is on the very long list, you can save big miles. Wow, I had no idea. Thank you! Does the destination need to be the arrival city? For example if your home city is ft Lauderdale, which is on the list, can you book ft Lauderdale to NY round-trip and get the discount? Technically yes, but I think in the past many people have gotten them to ticket it backwards. Call in and try. Good luck finding these “Saver” award spaces for “discounted” award because “they are NOT the same”. I came to know when I called and they said the discounted award space doesn’t exist at all for the saver dates that are shown on AA.com. They are the same. Must have been an issue with the rep you called. Hang up, call again. I would call again and try another agent. If the flights show up on AA- they are fair game for discounted booking and should be honored.